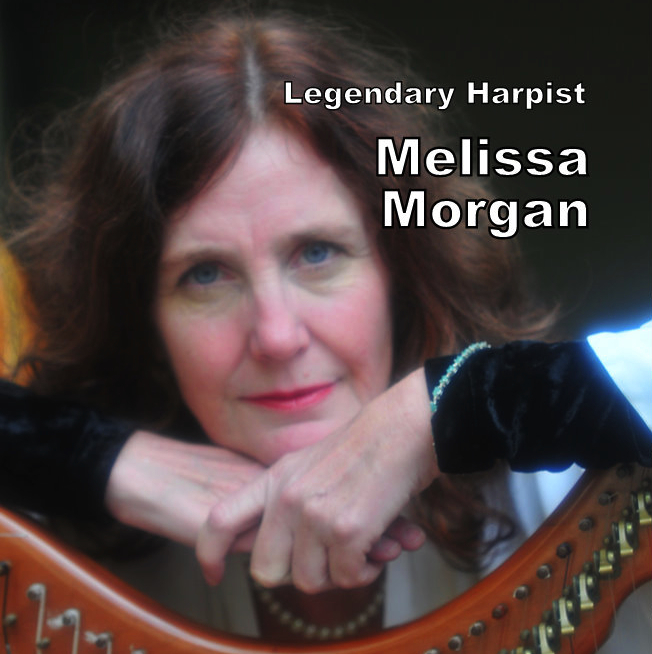 Melissa Morgan is internationally recognized as a premier harpist. Unsurpassed as a composer, Morgan’s talent and skills make her unique in the harp world, and an incredible addition to any public or private event. Her ground breaking work in the therapeutic harp field has brought healing and solace to many in need, whether in the hospital or home. She has numerous recordings. Invocation to Isis broke new ground and became a New Age classic. Erin’s Harp was the first Irish harp album produced by an American in the Celtic revival of the 1980’s. Melissa helped create the wave that is popular in Ireland now, with harps joining in on the traditional tunes where once they were excluded or relegated to “harp songs” only. Melissa has helped to put the harp back in its place as a leading edge, exciting, dynamic instrument.